By any lawful measure or standard, my tenure at Sars was the most successful in the democratic era. Why then was he removed? Moyane says it’s because of a vast conspiracy against him by President Cyril Ramaphosa, Public Enterprises Minister Pravin Gordhan and “the media”. His Trumpian statement follows on previous legal attempts by him to evade the inquiry into Sars under him as well as his disciplinary hearing, both of which are happening at the same time. The tax collection shortfall last year totals R50 billion, a figure excepted as true by everyone, except Moyane. Moyane did nothing wrong in handling the fortune deposited into Jonas Makwakwa's accounts, despite a Financial Intelligence Centre report. The millions the Guptas received in VAT refunds were also not his fault - other employees are to blame. 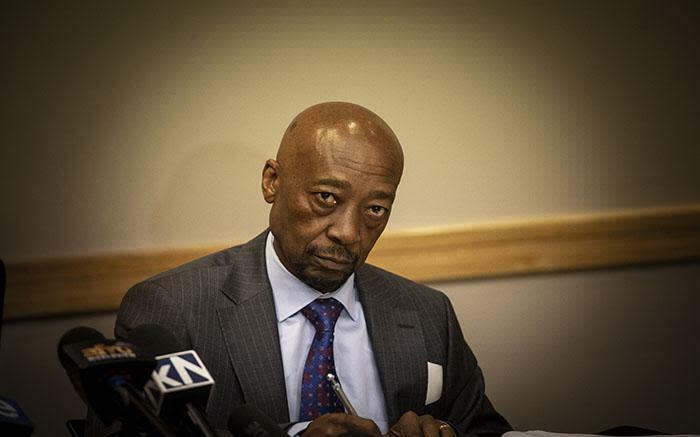 Moyane defended Bain & Company’s “restructuring” of Sars, despite the company admitting wrongdoing and agreeing to pay back the R164 million it earned for the work. He commended the Sunday Times for "reporting courageously" on the (we now know non-existent) “rogue unit” at Sars, even though the Sunday Times has itself admitted its error and apologised. Ray White (in for Bruce Whitfield on The Money Show) asked Pauli Van Wyk, an investigative journalist with Scorpio at Daily Maverick, to explain how Sars and the State got captured. We’re making a mistake if we think it’s one family… there are many… we can look at the cigarette barons… there are many. This happens when you have a weak state and a weak leader. Someone who assisted Mr Zuma with his tax affairs told me… He has two fears. The one is being poor and the second is being in jail again. I found things that contradicted the Sunday Times… the more I probed the more it contradicted them… I tried to prove them right and to this day I couldn’t… The women have been ousted, but the men are still working. It’s no coincidence that Mr Zuma was removed from his position and the underworld is starting to challenge each other. The heart-breaking part for me was seeing how people cried before a commission… the hurt, injury and trauma… how this Government treated people being good to this country!